True, telling how tall a celebrity is, just by what we see on screen has become increasingly difficult, no thanks to the use of revamped technology in filmmaking and of course, the stilettos worn often by ladies and even the men. However, there are still people of great height gracing the spotlight. In fact, the tallest celebrities alive today will make you appear to have a diminutive stature when standing close to them. Fans will be absolutely excused for getting star struck when they come in contact with these towering fellows. For the most part, having a great height does not mean you will be good at what you do. Unless of course, you are taking the path of basketball or other sports which require the players to be tall. A good height doesn’t really make one a celebrity but we must admit that having that imposing personality has its perks. Again, let’s not forget that at a height of 5 ft 3 in, Kevin Hart towers over a lot of the tallest celebrities you known when their talents and bank accounts are put to the test. Anyway, check out some out of the many tallest celebrities we’ve gathered for your delight. 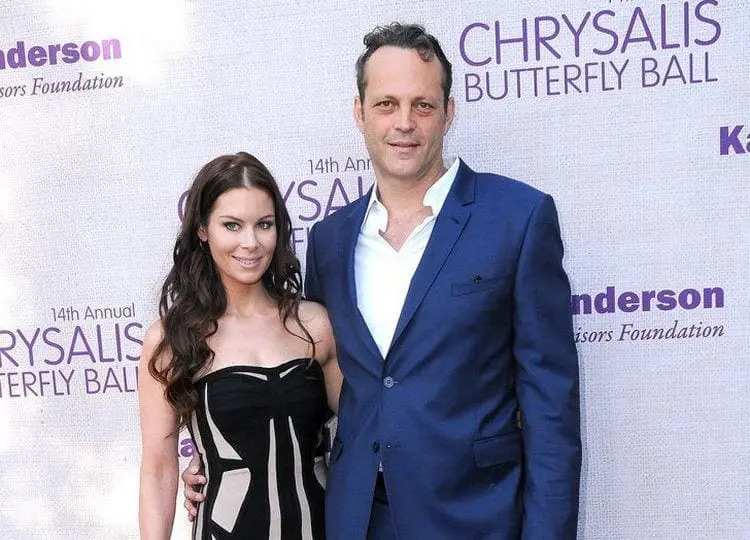 Though it doesn’t surpass his phenomenal body of work as a renowned actor, producer, screenwriter, and comedian, Vince Vaughn’s height makes him stand out. Interestingly, at a towering 6 ft 5 in, the actor has only been linked to women who are just a few inches shy of five feet in height, talk about Jennifer Aniston and Kyla Weber. While he wasn’t able to make it through high school, this African-American ball of talent has often been named the highest earner in the entertainment industry. His height might not have anything to do with the kind of success he has attained under the spotlight but at 6 ft 5 in and a huge and fit body frame, Tyler Perry commands a lot of respect on set and away from the cameras. Thankfully, his girlfriend, Gelila Bekele stands at a comfortable height of 5 ft 9 in which means she can turn to some stiletto to help her not look like a dwarf around Perry. Standing tall at five inches above six feet, Howard Stern will always have his co America’s Got Talent judges begging for attention in a group photograph. Often dubbed “King of All Media”, Stern has seen many successful years since the debut of his radio show titled The Howard Stern Show as well as other endeavors. He towers above his wife, Beth Ostrosky Stern, who stands at an average height of 5 ft 8 in. He is not called The Rock just for being in top-notch movies. Before he discovered his forte in acting and commandeered the spotlight, Johnson was once a college American football player and world-class wrestler who lifted many trophies before his retirement. Needless to say, he is one of the tallest celebrities who fully utilized their great height and strong frame. The Baywatch star is not just some tall movie icon but he comes complete with all the icing on the cake – ripped body, chiseled abs and all. In case that doesn’t make much sense maybe this will – he has a chest that measures up to 50 inches, accentuated by his waist of 35 inches, with biceps measuring 20 inches and thighs of 31 inches in size. His partner, Lauren Hashian, stands at 5 ft 8 in. In his heydays, Hulk Hogan can be described as a menace in the ring. Just like his remarkable height, Hogan has done great things, most of which were achieved in a wrestling ring. Inducted into the WWE Hall of Fame class of 2005, the American retired wrestler is arguably the greatest professional wrestler of all time, as well as the most popular around the globe. His signature white beards coupled with his imposing height and weight makes him a force to reckon with. He is married to Jennifer McDaniel, a beautiful blonde standing tall at 5 ft 10 in. We all know it’s just a matter of time before a B-Baller makes a grand entrance on this list of tallest celebrities. While a great height is somewhat of a common feat among basketball players, not many of them will attain the height Michael Jordan reached during his illustrious career as an active player. The athletic icon is still revered around the world as the greatest player the game of basketball has ever seen. This goes to say that a lot of people will feel like dwarfs around him, not just for his great height and body frame but for all the milestones and feathers on his cap. Well over the age of 50, MJ still maintains his stunning looks, highlighted by his mountainous 6 ft 5 in height. His wife’s height is just an average 5 ft 5 in; though the height difference is not something a pair of designer stilettos won’t solve. The veteran actor’s height has always been in the spotlight for as long as his pre-eminent career as an entertainer. He holds the record of the tallest actor to make the list of nominees for an Academy Award. James Cromwell passed the rare gene to his son John who stands at a massive 6 ft 8 in. As it’s easy to assume, Cromwell’s wife is just a mini 5 ft 4 in. He must have been the tallest kid in the block while growing up and with that great height today, LeBron James has taken over the game of basketball as he is referred to as the best in the game by many enthusiasts. His myriad of milestones and accolades over the course of his ongoing career shows he puts his 6 ft 8 in height to good use. To mention a few, LeBron has 4 NBA Most Valuable Player Awards, a total of 3 NBA Finals MVP Awards, 2 Olympic gold medals, as well as 3 All-Star Game MVP awards. He does look like a human mountain if you take a closer look. Hafþór Júlíus Björnsson, nicknamed The Mountain has won several Strongest Man contests in the world. In fact, he reigns supreme as the present Strongest Man in the world. He also holds the record as the first to win the Arnold Strongman Classic together with Europe’s Strongest Man and as though that wasn’t enough for him, he topped it with the World’s Strongest Man, all in the same year. He got his nickname from his role as Gregor “The Mountain” Clegane in the award-winning HBO series, Game of Thrones, where he made his co-stars look like dwarfs. Interestingly, at an eye-popping height of 6 ft 9 in, with a heavyweight of 180 kg, The Mountain’s wife (Kelsey Henson) is a mini 5 ft 2 in. 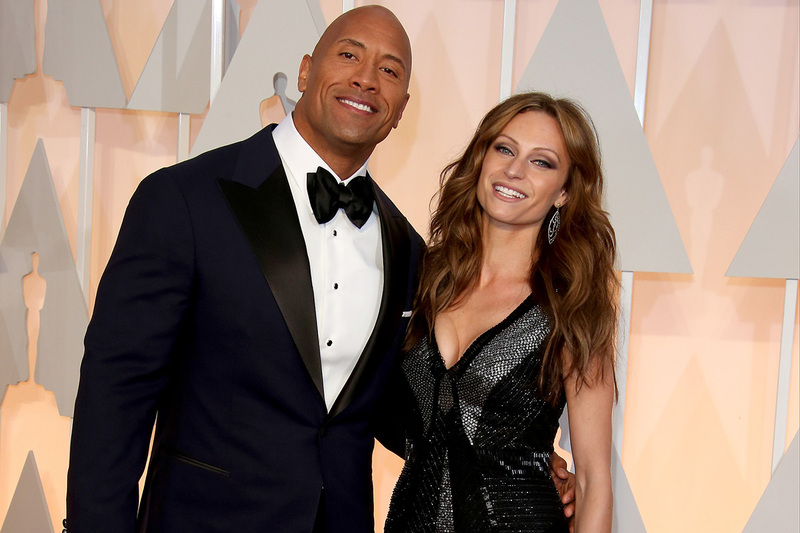 Still, she rocks her petite stature around her mountainous husband with pride. He is mostly pictured scooping up his wife to get her to his level. Sadly, the highest of heels can’t cover the distance between them, not that the loved-up couple is complaining. Sky-high is the perfect description for the giant that is Peter Mayhew. The Star Wars veteran and septuagenarian has had to explain that he doesn’t suffer from gigantism since his head isn’t that big as is always seen among people with the condition. Notwithstanding, he admitted to having a connective tissue disorder known as the Marfan syndrome and characterized by long and thin limbs. Taking the lead in the midst of tallest celebrities didn’t guarantee Peter Mayhew’s success as an actor but he worked hard to get to the career height he has attained so far. Mayhew’s wife is not a spotlight hogger, thus, her height is not known but her husband visibly dwarfs hers. 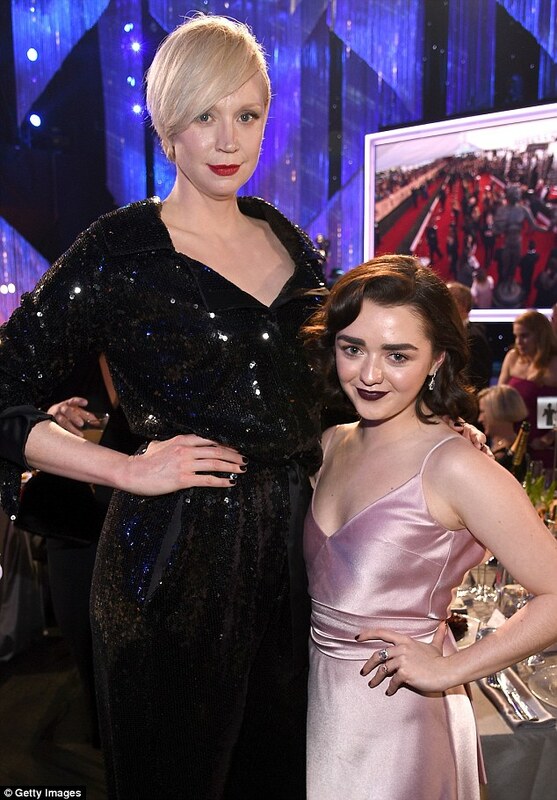 Among female stars who deserve a mention on any list of tallest celebrities, Gwendoline Christie, the Game of Thrones tall lady who stands at 6 ft 3 in, takes center stage. Another lady of remarkable height is tennis champ, Maria Sharapova; she is 2 inches taller than 6 feet. Among the male tallest celebrities also, we see the likes of Hollywood hunks Liam Neeson (6 ft 4 in), Ashton Kutcher (6 ft 3 in) and Liam Hemsworth (6 ft 3 in). There’s also Joel McHale (6 ft 4 ft) in addition to several other notable celebrities who have not only left us in awe with their achievements but also their great height.